Kasumi An Study Center is a traditional Japanese house located in quiet Noda city, Japan. We are a ten minute walk from Noda station on the Tobu-Noda line. 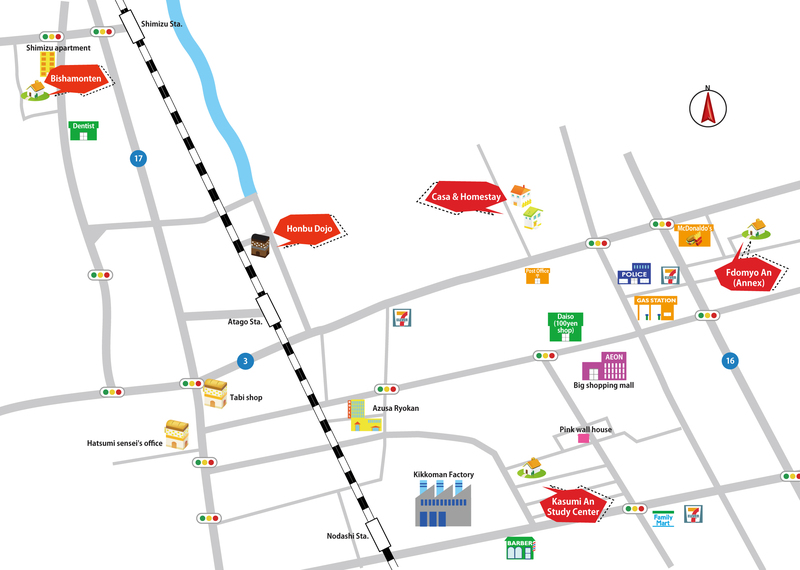 We are conveniently located a three minute walk from Jusco, a large shopping center packed with stores, restaurants, and a well stocked supermarket. As well, we are a twenty minute walk from the new Bujinkan Honbu Dojo. Coming from Narita airport takes about 60 minutes by train. You can take a train, but easiest way is taking a bus from the airport to Kashiwa. Get off at “Nodashi Station”and turn left. Cross the railroad and go straight along the big factory. And turn left on the next street(Small one). Go straight and trun right on fourth street and you will find us on you right soon.